Monitor, manage and communicate in real-time with all your sales resources with instant visibility to each step throughout the sales cycle. Create dynamic checklists for your audit team to capture and complete electronic forms even while in offline mode. 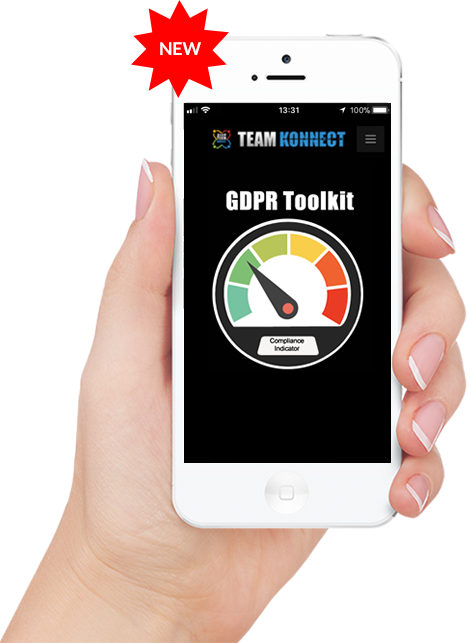 Our Team Konnect GDPR Compliance Management module has been designed to assist organisations in their approach to managing and monitoring the range of tasks required to navigate this complex regulation. While there is no silver bullet in how to achieve compliance having a system or structured approach will allow even non-technical personnel to understand their roles in this process. Starting off with identifying your GDPR Team, performing a companywide audit, identifying and categorising personal data and processes, creating a risk register, performing risk assessments (DPIA if necessary) and implementing mitigating measures to reduce risks the solution guides you along the journey to complete the checks necessary for your specific business. The result, is a central platform where you can access all audited information relating to personal information that you store along with any relevant policy documentation, expiry and review dates applicable to your business. Our Team Konnect Task Management module allows employees, clients, vendors, or consultants, from near or far to work together and share knowledge for the accomplishment of collective goals. Effective task management requires managing all aspects of a task, including its status, priority, time, human and financial resources assignments, recurrence, dependency along with notifications and Team Konnect provides you with all the tools necessary to accomplish these tasks efficiently. Managers can also keep track of outstanding or stalled tasks and even compare estimated versus actual time spent to capture overruns and identify additional billable hours. Our Team Konnect Jobs Scheduling module enables organisations to pull together all the resources and assets required to accomplish the tasks identified as part of any business project. Effective scheduling is accomplished by providing the tools that enables teams to communicate and collaborate on what work needs to be performed, which resources within the organisation will perform the work and the timeframes in which that work needs to be performed. The application syncs all job information to resources in the field who can complete any assigned tasks even in offline mode. Assets and documentation also form part of each job record ensuring that each resource has access to all the technical information required to complete the job on time and on schedule. Our Team Konnect Checklist module has been designed to enable organisations to dynamically create checklists that ensure consistency and completeness while carrying out any checklist task. 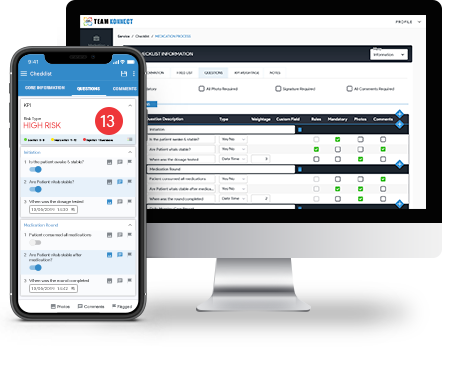 Effective checklist creation is accomplished by providing users with an intuitive design interface where they can build a dynamic list of questions while enforcing capture and validation rules to ensure the desired outcomes. The checklists can then be set as recurring for completion by resources at pre-set intervals depending on the requirements. Actions required can be identified as part of any checklist process which automatically raise remedial tasks that must be completed before the checklist can be signed off. Our Team Konnect Asset Management module enables you to monitor, manage and maintain a wide range of tangible or intangible assets that may be deemed of value to the business. Effective asset tracking is an important task for any company that requires instant visibility to their asset register, needs to identify non-performing assets, track usage and ownership, maintain a repair cost history along with any certification records for safety and compliance purposes. Asset movements can also be tracked enabling the business to ascertain the location of any asset at any time along with a cost based on the duration of time spent at each location. Our Team Konnect Sales Pipeline Management module provides you with the perfect way to define your sales process from first contact with a prospect, to closing the sale, and every step in between. Each call or conversation can be recorded ensuring that tacit knowledge is never lost in relation to any sales opportunity. An effective sales pipeline solution provides the business with instant visibility across all divisions enabling you to maintain a sound strategy and good management which are the key ingredients to sales success. 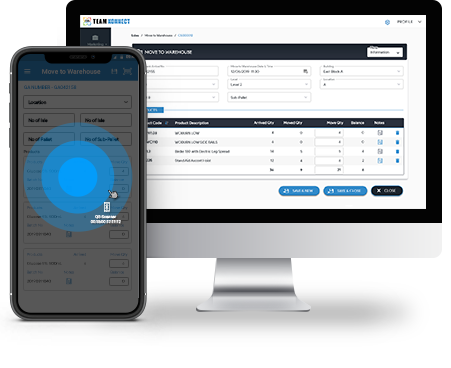 The sales pipeline module also integrates with our Business, Quotations and Products modules allowing for end to end management of each customer engagement. Our Team Konnect Quotations Management module enables organisations to quickly generate quotes, follow up on them, and turn them into positive revenue streams with ease. Our template feature allows you to customise the layout of your quotation to include corporate branding and each quotation can be instantly emailed to the customer on completion. 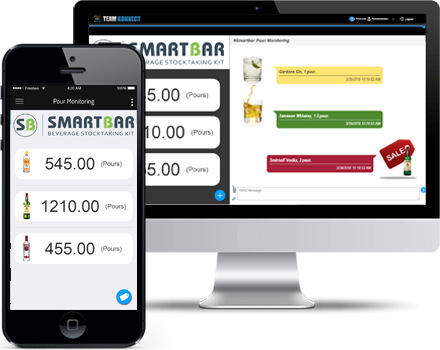 Products can be added as line items to each quotation pulling in cost and sales values for instant visibility and calculating the overall cost of each quotation. Each completed quotation is rendered as a PDF document and linked to both business and opportunity records for reporting and historical reference purposes. Our Team Konnect Purchase Order Module enables organisations to save time and effort with their online purchase order requirements. Digital purchase orders can be created quickly using inventory items from our Products module and the finalised purchase order can be emailed directly to your suppliers from anywhere. Purchase orders can be customised to reflect your brand and look professional using our template creation feature which allows you to choose what information is shown, and add your company logo. Barcode integration is also provided allowing you to assign barcodes to each product from existing suppliers or create your own specific range of barcodes for the products that you produce. Our Team Konnect Stock Management module has been designed to enable organisations to control and manage the stock levels you have at any one time, how you keep track of your stock and applies to every item you use to produce a product or service, from raw materials to finished goods. An effective stock management system enables you to minimise stocks and the costs of holding stocks, while ensuring that the firm has sufficient stocks to meet customer demands taking into account the fluctuations in demand that occur over time. The stock control module also integrates with Purchase Orders to manage deliveries and can take sale inventory for POS systems to provide detailed stock take reporting. 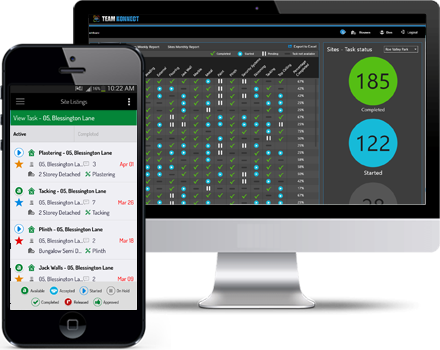 Our Team Konnect Case & Ticket Management module has been designed to enable organisations to manage their day to day support requests in a structured manner. Effective case management solutions are designed to support complex processes that require a combination of human tasks and electronic workflow, such as an incoming support request, a complaint, or a complaint that is needs to be escalated. Support emails are collected and identified by customer domain automatically creating a ticket and notifying the customer that their case has been received. Cases can then be allocated based on priority, type or service level to an appropriately qualified support resource and monitored and managed throughout its life cycle until resolution. Our Team Konnect Contract Management module has been designed to enable organisations to manage the wide range of contracts made with customers, vendors, partners, or employees. Contract management is a complex and time consuming process and an effective solution can help to streamline your administrative tasks and reduce your overheads. You can easily follow along as a contract or agreement goes through review and approval, and the software can also take care of things costs, renewal date alerts, digital signatures and commitments management. Reporting and analytics are also available to management allowing them to easily review contract and vendor performance at regular intervals. Our Team Konnect Mobile Delivery Management module is a simple and easy to use application that organises order, picking, dispatch, delivery, billing, inventory, returns and much more – anytime, anywhere. 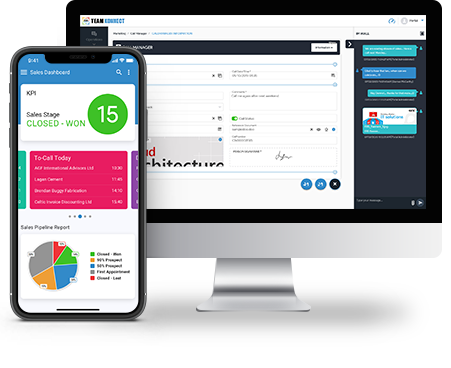 The platform is designed for the operations team to manage products, vehicles, drivers, and invoices and provides out-of-the-box reports and dashboards statistics. The mobile application also helps you view, deliver, complete and sync orders taking e-signatures in real-time and automatically emailing both PODs and invoices to the customer for same day billing. Drivers can also amend orders on the App in real time based on customer requests, recording and returning the surplusgoods to HQ. New orders can also be taken during customer visits which are synced and scheduled for delivery as per the customers’ instructions.